3) the radial force balance method and measures. 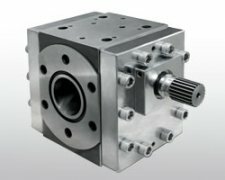 extrusion gear pump flow characteristics of the analysis parameters involved in the calculation of more complex calculations, must rely on computer-aided design methods to achieve. Rely on the work of volume change and move between the pump cylinder and gear formed to transport liquid or pressurized so that the rotary pump (see pump). 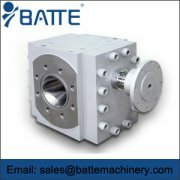 extrusion gear pump with external engagement and the ring-type two structures. When the gear, the gear teeth are disengaged from each side of the suction chamber at the interdental volume gradually increases, the pressure is reduced, the liquid into the teeth in the differential pressure. With the rotation of gear teeth of one liquid is brought to the discharge chamber. Then interdental volume of the discharge chamber side of the gear teeth is gradually reduced, and the liquid is discharged. 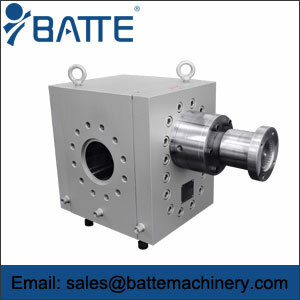 extrusion gear pump for conveying solid particles, non-corrosive, a wider range of lubricating viscosity liquids. Pump flow up to 300 m 3 / h, pressure up to 3 × 107 Pa. 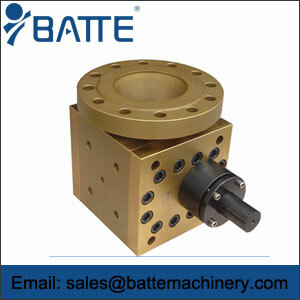 It is usually used as a hydraulic pump and transport various types of oil. 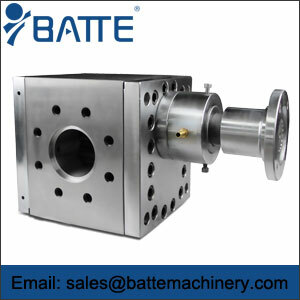 extrusion gear pump simple structure, easy to manufacture, easy to maintain, there are self-absorption capacity, but the flow, pressure pulsation is large and noisy. 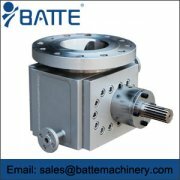 extrusion gear pump must be equipped with a safety valve to prevent the discharge pipe for some reason such as clogging the pump outlet pressure exceeds the allowable value and damage the pump or prime mover.